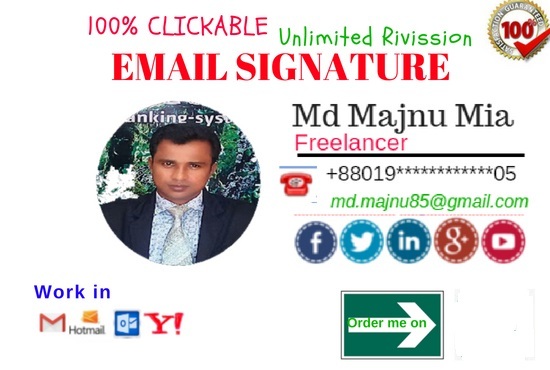 If you need of an email signature for your Business? I will provide a professional/Clickable & editable HTML email signature as like the sample in my service pictures. - Free Installation instructions for the Email Signature.